Hastelloy UNS N10276 Hexagon Bars Stockiest in Tanzania, Hastelloy DIN 2.4819 Bright Bar Dealer in Nigeria, C276 Hastelloy Square Bars Exporter in South Africa. Sangeeta Metal is one of the leading Manufacturer, Supplier and Exporter of Hastelloy C276 Round Bars that are actually manufactured from High Quality of Standard Raw Materials and are designed as per with national and international standards. 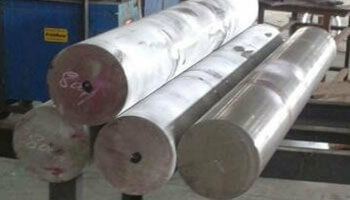 Alloy C276 Round Bars is a nickel molybdenum chromium tungsten alloy with the addition of Tungsten. UNS N10276 Bars has good fabricability and impressive corrosion resistance in some of the most severe environments. Due to the properties of WNR 2.4819 Round Bars, it is commonly used in pollution control, chemical, petrochemical and waste incineration applications. We offer these Hastelloy C276 products in custom-made shapes and sizes as per the requirements given by our clients, and that too at an affordable and market leading prices. ASTM B574 Hastelloy C276 Polished Rods Distributor in Africa, Hastelloy C276 Flat Bars in Ghana, Alloy C276 Cold Drawn Bar Supplier in India.